COPD stands for Chronic Obstructive Pulmonary Disease. Smoking is the leading cause for this lung disease, accounting for 80-90% of these cases. This lung disease includes chronic bronchitis and emphysema, and tends to develop over time beginning around the age of forty. This disease obstructs the lungs due to the swelling of the airway, making it more difficult to breath. It is caused by long-term exposure to irritating gases such as from cigarette smoke. Individuals with this disease are at greater risk of developing heart disease and lung cancer. Genetics also play a role in developing COPD as an individual can still develop this even if don’t smoke or are never exposed to strong lung irritants in the workplace. 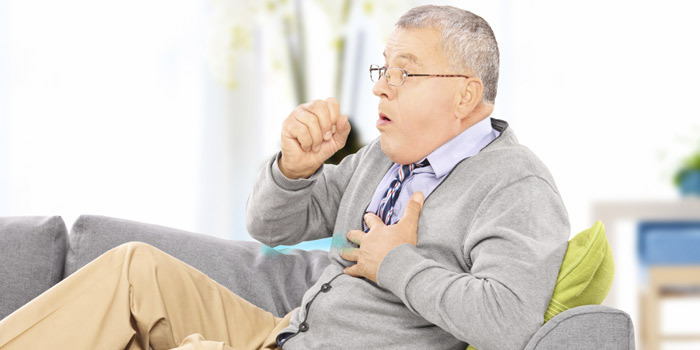 Shortness of breath is a common symptom of someone with COPD. Additional symptoms include wheezing, fatigue, lung infections, and coughs with mucus. Although not entirely curable, COPD can be treated. By quitting smoking, exercising, taking prescribed medication, or undergoing lung transplantation, one can minimize COPD symptoms and get back to living a normal and healthy life. COPD is treatable as proper management can help an individual control their symptoms and quality of life. Treatment goals are to slow down the disease by quitting smoking and avoiding air pollutants which trigger COPD. Medicine also helps to limit symptoms and improve your overall health. For example, bronchodilators commonly come in an inhaler to relax the muscles around the airway to relieve coughing and shortness of breath. There are also lung therapies available such as oxygen therapy and pulmonary rehabilitation program. Oxygen therapy is when there isn’t enough oxygen in the blood requiring supplemental oxygen. Pulmonary rehabilitation program combines education, exercise training, nutritional advice, and counseling. How To Apply for Disability Tax Credit for COPD?